Small businesses and start-ups in the Halifax area will be able to take advantage of dedicated new workspace designed with their needs in mind. We have created a new start-up ‘hub’ at our Calderdale Business Park, comprising nine small offices within their own self-contained area, complete with kitchen, eating area and toilets. Our aim is to a community feel for fledgling companies to help them get started in business in a welcoming and friendly work environment. The size, pricing and facilities available have all been planned around the needs of start-ups and young businesses. Business Centre Manager Tom Harrowell explains the reasons behind creating the start-up space. “We have a fantastic mix of businesses at Calderdale Business Park, from large industrial businesses, to charities and even a skate park and departments of Halifax College. “We decided to refurbish a large unit at the site and transform it into nine smaller workspaces to help young businesses in the area access high quality, affordable business space and interact with other local companies. Home to more than 30 businesses, Calderdale Business Park is on the site of a former biscuit factory and has a large free car park on site. It also features a spacious roof terrace, which is ideal for enjoying lunch in the sunshine. Calderdale Business Park offers a variety of high quality workspace, including offices workshops, industrial units and meeting rooms, as well as mailboxes and virtual offices. The site is monitored with CCTV and offers 24-hour access. Plus, our flexible terms mean you can choose how long you want to sign up for, and can even move in the same day should you wish. 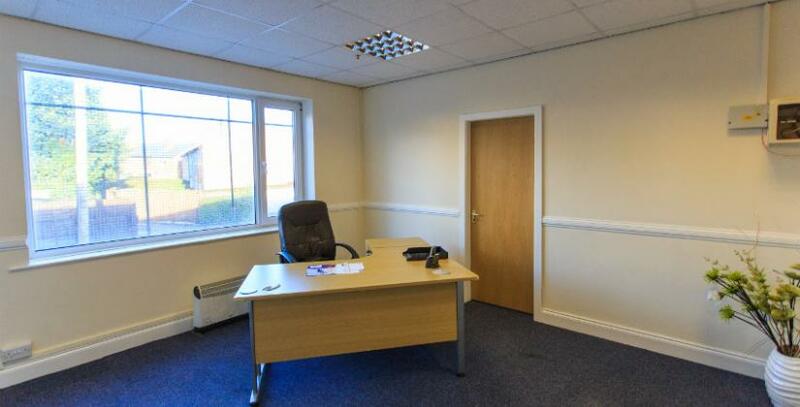 For more information on the start-up offices, or other workspace in Halifax, contact Tom Harrowell on 01422 330433.